Create a dessert that is healthy, tasty and gives back to the community? Unheard of! California Baptist University’s recently-opened Food Innovation Center and Angel Wings Bakery are combining forces to create a dessert bar that is both nutritious and tasty. Provider food service has stated they will buy the product and donate all proceeds to Path of Life Ministries, a nonprofit that helps the homeless. Angel Wings Bakery, a separate nonprofit, directs all of its proceeds to sustain the homeless services that Path of life provides. They also train and give temporary employment opportunities to Path of Life guests. 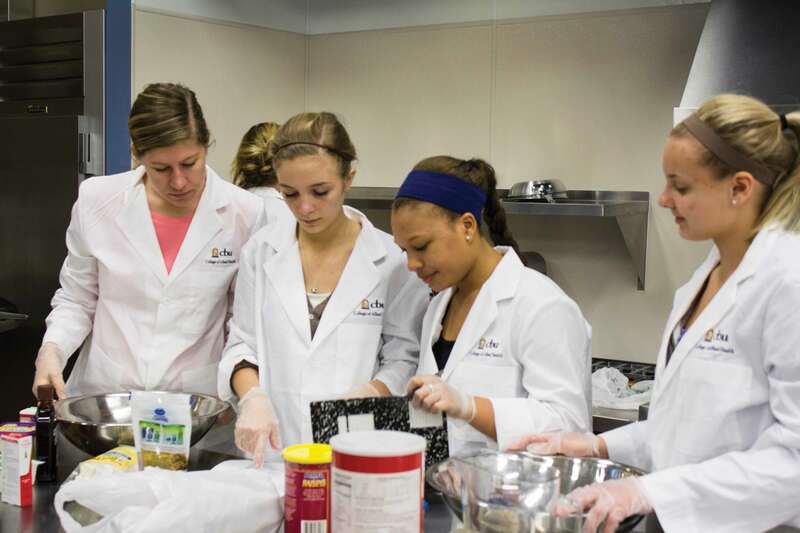 Every Friday, students gather at the Food Innovation Center off campus to experiment with and modify ingredients in everyday desserts. Students break into different teams, and each week they try to swap an unhealthy ingredient for something nutritious. “We want to develop products that have more nutritional value but will still be marketable,” said Dr. Margaret Barth, professor of nutrition and food sciences and program director of the Nutrition and Food Sciences said. CBU’s School of Business was offered to help by calculating the cost of creating the product and the profit margin, and graphic design students plan to design the wrapper for the finished product. “The hardest part about the project is creating something that is nutritious, but still tastes good,” said Sarah Velez, senior nutrition science major. Each week, the students are given new recipes from the Angel Wings Bakery, where they analyze the different ingredients and attempt to add nutritional value to the baked goods. Students are learning how to develop a marketable product and create a product that can be a consistent source of income for Path of Life. Students continue to work on their product to prepare for a consumer test-market where CBU students will be able to give it a taste. The testing is scheduled to take place in mid-April.